The ministry of Dr. Martin Lloyd-Jones (MLJ) at Westminster Chapel in central London “was one of the greatest Christian phenomena of the 20th century.”https://www.westminsterchapel.org.uk/ourhistory/. My awareness of Lloyd-Jones’ homiletical legacy led me in July of 2018 to pay the Chapel a special visit. Little did I know that day offered a divine appointment. After my knock a friendly gentleman invited me inside, he was the maintenance manager. Once he discovered my motives he not only gave me a tour of the church but also allowed me to visit Lloyd-Jones’ personal study, see his desk and original pulpit, flip through the worn pages of his preaching Bible, and don black robe he believed to be proper pulpit attire. It was a day I will never forget. It was not the size of the church. It was not the elegance of the study. It was not the power of a man long gone from this earth. It was rather the legacy of the Word of God at work through the mouth of a faithful preacher. It was the romance of preaching—the phenomena of God’s Word so clearly proclaimed by a God-called man. It was the nostalgia not of a man, but of the Word—the Word of God unleashed to do its work. This is the work God has called me to and perhaps you as well. The title of this piece is somewhat ironic in that MLJ believed preaching could not be taught. He writes emphatically, “Preachers are born, not made. This is an absolute. You will never teach a man to be a preacher if he is not already one.”D. Martyn Lloyd-Jones, Preaching and Preachers (Grand Rapids: Zondervan, 2011), 130. Essentially, MLJ stresses preaching is a calling. He believed that only the truly God-called, anointed man could preach, and in such case, the homiletical mechanics would take care of themselves. Therefore, he argued, “The chief thing is the love of God, the love of souls, a knowledge of the Truth, and the Holy Spirit within you…that man will preach.”Ibid., 131. With this one caveat in mind, MLJ did believe preachers could be helped a little with instruction and he encouraged young preachers to learn from other preachers. On his own advice, we now turn to learn what we can from MLJ. The well is deep. Here are just a few brief extractions. 1. Genuine preaching is always expository preaching. 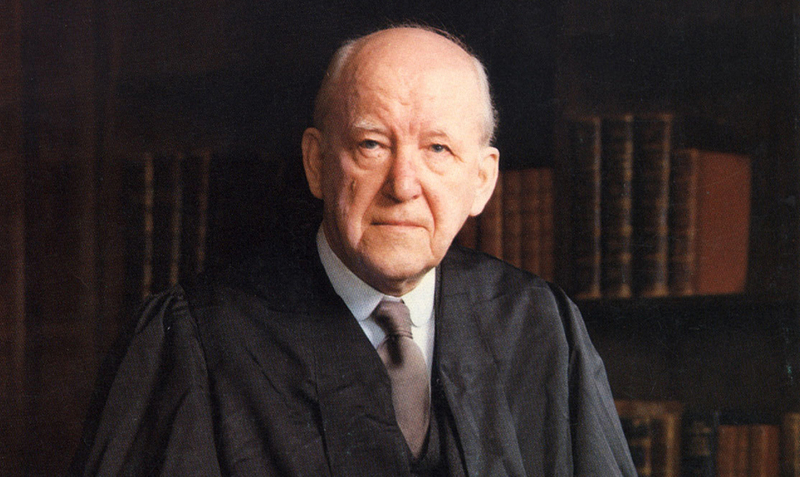 MLJ argued in accord with the New Testament that a preacher is an ambassador of God, “not a man who voices his own thoughts or his own opinions or views.”Ibid., 71. An ambassador is a man who serves as a mouthpiece for someone else. Therefore, the only content of genuine preaching is the Word of God, the Scriptures. MLJ believed in the systematic feeding of the flock from the Word of God via “individual expositions of particular texts.”Ibid., 78. Carl Truman summarizes MLJ’s conviction as follows: “The task of the preacher was the exposition of the word as a means of pointing to heavenly realities, rather than contemporary political and social concerns.”Carl Trueman, “D. Martin Lloyd-Jones: Preaching of the Word and Preacher for the Word,” in Benjamin K. Forrest, Kevin L. King, Bill Curtis, and Dwayne Milioni, eds. A Legacy of Preaching: The Life, Theology, and Method of History’s Great Preachers, vol. II (Grand Rapids: Zondervan, 2018), 325. 2. Expository preaching must be logic on fire. Why are not modern preachers moved and carried away as the great preachers of the past so often were? The Truth has not changed. Do we believe it, have we been gripped and humbled by it, and then exalted until we are “lost in wonder love and praise”?…To love to preach is one thing, to love those to whom we preach is quite another. The trouble with some of us is that we love preaching, but we are not always careful to make sure we love the people to we are actually preaching. If you lack this element of compassion for the people you will also lack the pathos which is a very vital element in all true preaching.Lloyd-Jones, Preaching and Preachers, 104-05. 3. What the world really needs is preaching. MLJ’s ministry modeled the central role of expository preaching in the life and worship of the local church. He realized what his people needed most was the Word of God. He also longed to see revival and believed the greatest catalyst for it was prayer and the proper preaching of God’s Word. “What is it that always heralds the dawn of a Reformation or of a Revival? It is renewed preaching!”Ibid., 31. Furthermore, MLJ knew man’s real problem was sin. He believed man’s greatest need was reconciliation with God. Thus, he knew beyond all doubt that preaching was what the world needed most. It is the preacher’s job to make man know his need and see the only remedy. 4. Preaching is slow, long-term work. All preachers face the temptation to be discouraged when sermons appear to produce little immediate fruit. Every preacher wants to see the Word at work. MLJ, however, reminds us that true preaching “may be slow work; it often is; it is a long-term policy. But my whole contention is that it works, that it pays, and that it is honored, and must be, because it is God’s own method.”Ibid., 62. Such a deep-rooted conviction is the power of the Word of God over the long haul kept MJL’s hands to the plow at Westminster Chapel for almost 30 years. The fruit of his labor ripens to this day. Preach the text. May your love of God, His truth, and His people set your soul and sermon on fire. Trust the Word to meet man’s greatest needs. Settle in for the long haul. God will reap a great harvest! Just a few reminders from the deep well of MLJ’s life and ministry. Kyle Walker is Vice President for Student Services and Assistant Professor of Preaching at Southwestern Baptist Theological Seminary in Fort Worth, Texas. 2. ↑ D. Martyn Lloyd-Jones, Preaching and Preachers (Grand Rapids: Zondervan, 2011), 130. 6. ↑ Carl Trueman, “D. Martin Lloyd-Jones: Preaching of the Word and Preacher for the Word,” in Benjamin K. Forrest, Kevin L. King, Bill Curtis, and Dwayne Milioni, eds. A Legacy of Preaching: The Life, Theology, and Method of History’s Great Preachers, vol. II (Grand Rapids: Zondervan, 2018), 325. 7. ↑ Lloyd-Jones, Preaching and Preachers, 104-05.